The NIST Cybersecurity Framework (CSF), also known as the Framework for Improving Critical Infrastructure Cybersecurity, offers voluntary guidance to help organizations improve cyber risk management across their environment. It provides a common language which organizations can use to communicate cyber risk management standards and expectations. Initially intended to improve the safety of critical infrastructure, the NIST Cybersecurity Framework has seen wide adoption across many industries and countries. The 2017 Presidential Executive Order on Strengthening the Cybersecurity of Federal Networks and Critical Infrastructure calls on federal government agencies to use the guidance in the NIST Cybersecurity Framework to manage cybersecurity risk, further extending its reach. By design, the framework leverages existing standards, guidelines and best practices to help organizations better understand, manage and reduce cybersecurity risk. It also facilitates enhanced communication regarding risk and cybersecurity among stakeholders. Intended to be customized to meet each organization’s unique needs and risk profile, the framework is most effective when used in conjunction with more prescriptive risk management guidelines such as FISMA, ISO or COBIT. Given the 100+ controls found in the NIST Cybersecurity Framework, agencies and organizations may find it challenging to know where to begin to understand their compliance with the framework. Starting with a mapping of existing controls in place against the NIST Cybersecurity Framework can enable you to find a foothold and expand your efforts, without duplicating work. For a comprehensive review of your organization’s compliance with the NIST Cybersecurity Framework, consider a gap analysis service. 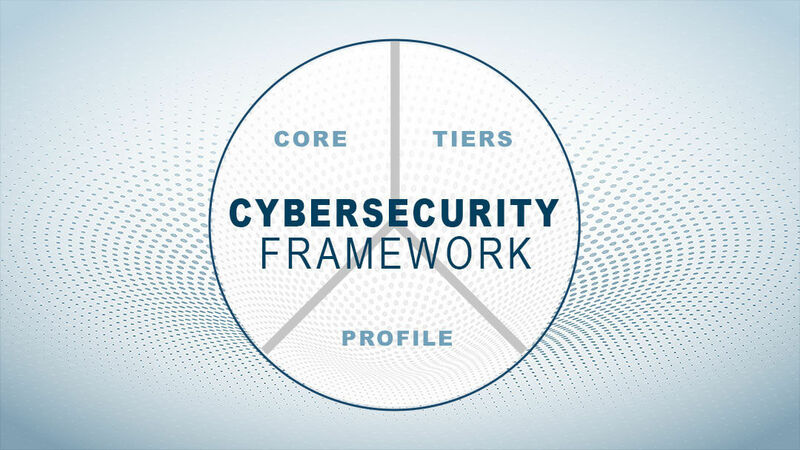 A NIST Cybersecurity Framework Gap Analysis engagement from TalaTek starts with an assessment to determine what controls are in place, if they are implemented and operating correctly and to determine whether they are meeting organizational goals. 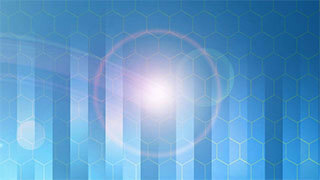 During the assessment, the TalaTek team examines all existing policies, procedures and processes against the NIST Cybersecurity Framework to identify gaps. The result is a TalaTek Benchmark Analysis Report which contains a thorough evaluation of the effectiveness of the existing security program and identification of gaps that should be addressed to adhere to the NIST Cybersecurity Framework. The engagement also includes a remediation plan with recommendations to reduce or eliminate identified deficiencies. 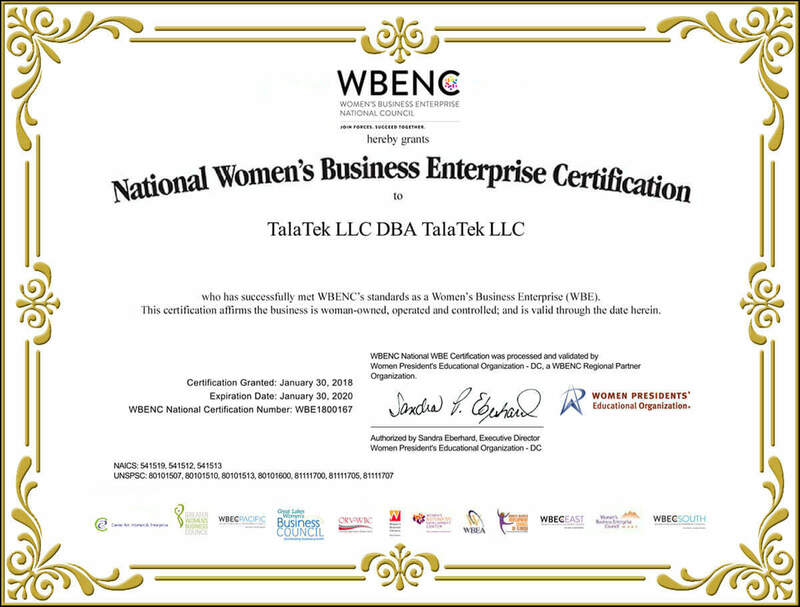 Unique to TalaTek, we’ll use our Enterprise Compliance Management Solution (ECMS) cloud managed service to collect and analyze data and deliver your findings and action plan, including recommended workflows and risk metrics. With this critical information in place, you can leverage ECMS as the foundation of your Integrated Risk Management program. ECMS integrates all risk, compliance and IT security data into a single system of record to provide a true enterprise view of your risk status against the NIST Cybersecurity Framework and any other frameworks or guidelines you choose. Click here to learn more about TalaTek’s Cyber Security Gap Analysis Services or contact us at info@talatek.com to get started with your NIST Cybersecurity Framework Gap Analysis today. 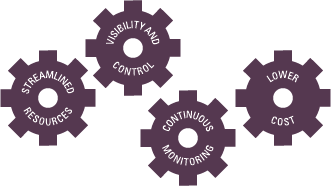 Achieve continuous monitoring and integrated risk management for your agency with TalaTek ECMS. Find out how. Centralize and integrate your enterprise risk management program to create business value with ECMS. Learn more. 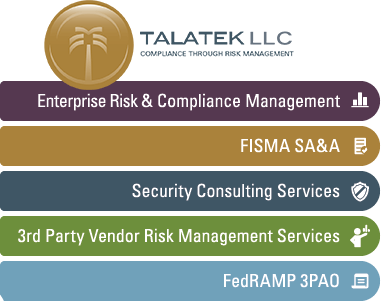 Tackle the FedRAMP accreditation process with advisory and assessment services from TalaTek. Find out how. With deep hand-on expertise, our seasoned industry experts know regulations, frameworks and controls thoroughly. 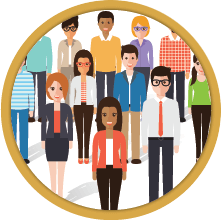 Each member of TalaTek is an IT professional with industry-specific certifications and experience delivering quality and expertise to ensure successful outcomes. Our innovative technology enables you to build a program that measures risk holistically, across the organization’s technical, operational and management controls. With ECMS, you can keep pace with changing regulations, prove and sustain compliance, and demonstrate effectiveness of security and regulatory control measures to executives and other stakeholders. Our proven process framework, refined from years of hands on experience with FISMA, NIST and many other frameworks, enables you to build a tailored risk, compliance and information security program, aligning your organization to a single risk taxonomy.